Organoclay (Bentone SD-1) is is an organic derivative of bentonite clay and used as a rheological additive. Mixes easily with oil and alkyd paints to increase viscosity, prevent pigment settling, and increase crispness of handling. Add 1�4% of total weight of the paint. It provides viscosity increase, reduces sagging of coatings on vertical surfaces and prevents settling of pigments and fillers. Organoclay is readily dispersible for non-polar to medium-polarity organic applications. It may be added at any point in the paint making process is using all normal paint-making equipment. 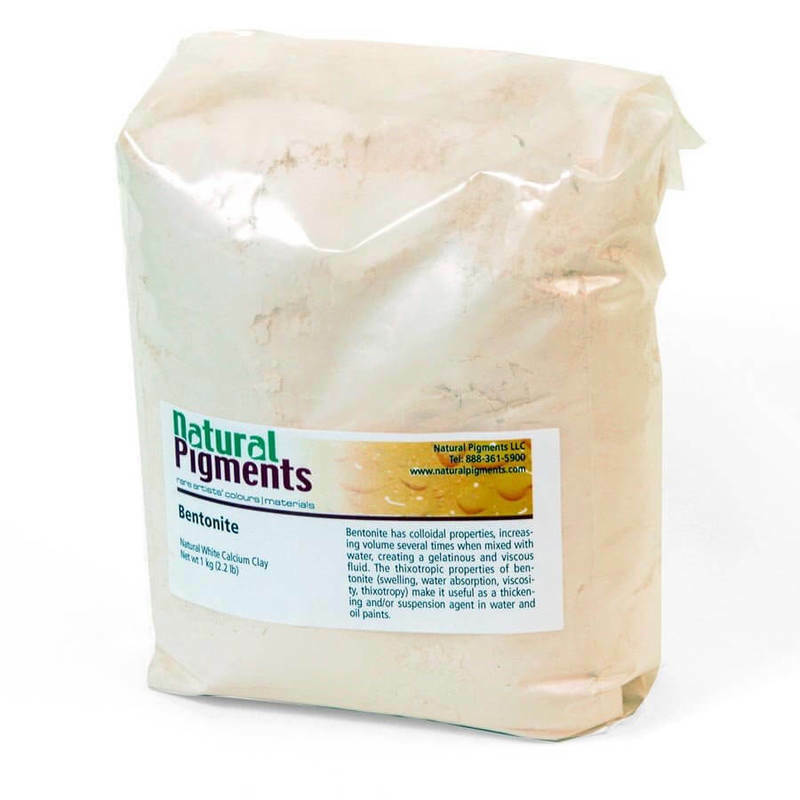 This rheological additive can be incorporated in the pigment grind under high shear and under low shear. A chemical activator is not required to disperse the organoclay in conventional solvent containing paints. It can be added to the pigment grind or by mixing rather than grinding. Its does, however, require some minimal shear (minimum tip speed 4 meters per second when a high speed mixer is used). The liquid paint to which it is to be added should well stirred as it is sifted in. Sufficient time for full activation should be allowed. The amount of time required will depend upon the amount of paint, the type and speed of mixer in use and the viscosity and solids of the system. When grinding with the pigment, it is not sensitive to high temperatures and no minimum temperature is required.